Spinal stenosis in children is almost always caused by one of two possible explanations. Most cases are the results of severe congenital central canal narrowing conditions which are present from birth. Some of these problems worsen as the child grows, creating symptomatic versions of stenosis even at such a young and tender age. The other cases of stenosis affecting children are usually due to traumatic injury. 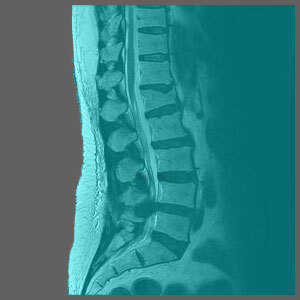 In some instances, spinal injury can restrict the canal space due to herniated discs, vertebral misalignment or general debris within the central canal space. It is heartbreaking to think of all the children who miss out on a normal childhood due to severe and physically impairing health issues. The scope of this article will examine why juvenile spinal stenosis occurs and how it can be treated. Congenital spinal canal narrowing is not uncommon and usually does not cause any significant problems. However, in some cases of severe narrowing, a child may begin to develop problematic symptoms early in life. These painful stenosis issues can be found anywhere, but are statistically more typical in the lumbar and cervical regions. In virtually all cases, congenital spinal stenosis which enacts pain or neurological dysfunction in young people will have to be treated surgically. Generally, the canal will be widened to reduce symptomatic occurrence now and to prevent it from recurring again later in life. In most patients, this can be successfully accomplished, although some young people may have to have reinforcing hardware or spinal fusion added to the surgical mix to make up for a lack of overall stability after surgery. There are many possible types of back injuries which may result in stenosis in an otherwise normal canal space. The most common is certainly a herniated intervertebral disc. Spinal stenosis caused by a herniated disc is a transient form of canal narrowing in most instances and might be treatable without surgery. For acute symptoms, such as cauda equina syndrome, surgery may be indicated and necessary. Injury to the spine itself, such as severe or multiple vertebral fractures, or a collapse of the spinal structures, can fill the central canal with debris and even compromise the actual spinal cord. These types of traumas are virtually always treated surgically and may involve multiple procedures over time to fully resolve. The young and flexible spines of children respond well to most forms of treatment when stenosis reaches a symptomatic level. Fortunately, treatment results in younger people are mostly positive, since the diagnosis is more typically sound compared to older individuals with many possible reasons for pain. Youthful bodies also rebound better after even the most drastic therapies, such as invasive surgical intervention. It is always so sad to know that some children are affected by health crises before they have even truly had a chance to start out in life. However, with quality care and proper rehabilitation, most stenosis issues in young people can be successfully treated and overcome, leading to a normal life instead of one filled with chronic pain. For more information on juvenile spinal stenosis, consult with a pediatric neurologist.